Gift Mark Deluxe Adult Rocking Extra Tall Back Chair, Espresso by Gift Mark at Indsight. MPN: 3500E. Hurry! Limited time offer. Offer valid only while supplies last. Our Deluxe Adult sized Tall Back Rocking Chair, is just like the One that Grandma Used. This Heirloom quality Rocking Chair is made of Solid Wood. 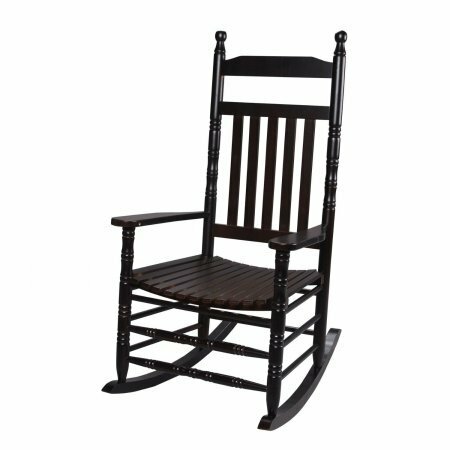 Our Deluxe Adult sized Tall Back Rocking Chair, is just like the One that Grandma Used. This Heirloom quality Rocking Chair is made of Solid Wood. The Rocking Chair is Handcrafted, with exceptional details, using all Natural Wood. This top of the Line Gift mark Adult Rocking Chair can be used for Generations.